Home Hindu Why is a specific flower offered to a Deity? Some things in human life are beyond the realm of intellect. Modern science cannot explain them. And that is where the science of spirituality enters in the life of man! According to the path of devotion (Bhaktiyoga) ritualistic worship or Puja is an important stage in process of worship! For performing ritualistic worship of a Deity filled with Bhav or spiritual emotion various tools and articles are required. Every article of Puja has its own significance as per the science of spirituality or Holy Scriptures. 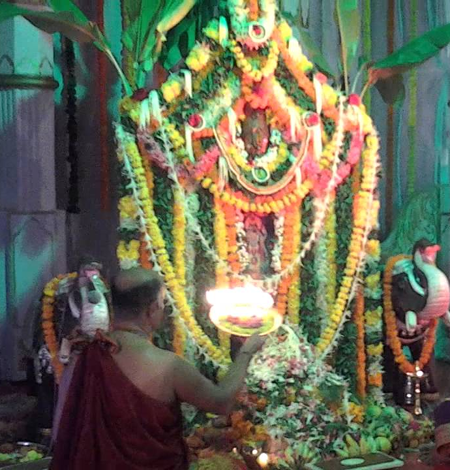 No Puja ritual of a Deity is complete without use of flowers. 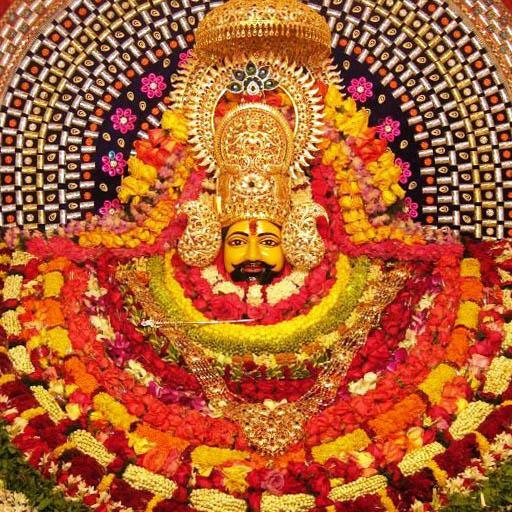 If we know such things as which flowers for worship or leaves are to be offered to a particular Deity, in what numbers and their spiritual benefits then we will get more benefit from Puja ritual. So let us see an important ingredient of Puja articles namely flowers. 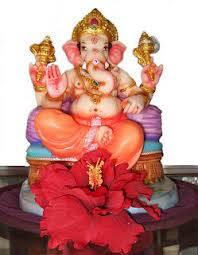 The Ganesh principle present in the universe gets attracted towards the central space of the red colored Hibiscus flower and is emitted in the form of circles.It is absorbed by the stem of the flower and gets emitted through the petals in the atmosphere. The stamen of the flower absorbs the Ganesh principle present in the atmosphere and emits the particles which donate vital energy or Prana-shakti..
To cite some examples of flowers and God, white flower like that of Dhatura is offered to Deity Shiva, red colored flower like Hibiscus for Sri Ganesh, and red colored flowers for Durga Devi also. If the worshipper has more spiritual emotion for these flowers then the frequencies of Deities get more activated through the medium of these flowers and work for the worshipper directly. 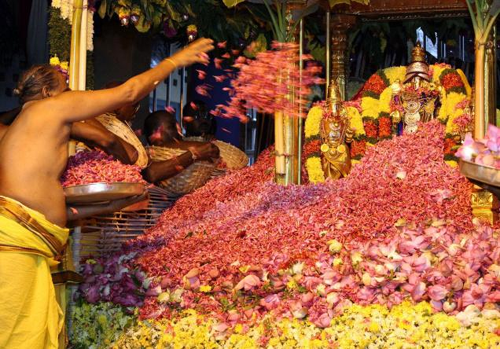 Why should one, offer only fresh flowers to the Deity? The capacity of a flower to absorb and emit the frequencies of Deity and sattvik frequencies gets reduced if it is dry or infested with insects. 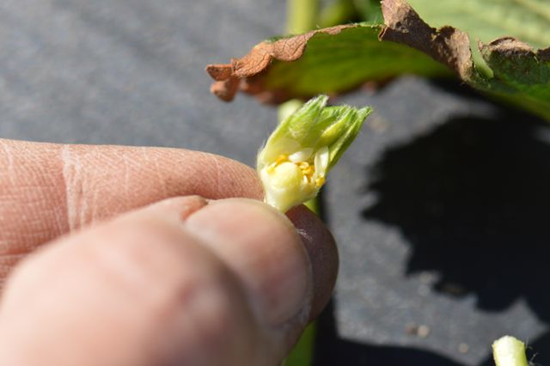 Another important thing is that it is also prohibited to offer the flower which is already been offered (nirmalya) that is which has become stale. The basic science underlying this is that the flowers are used mainly for their colors rather than their fragrance. When the flowers become stale its color changes. As the color changes, the reception of frequencies of Deity decreases and later stops. 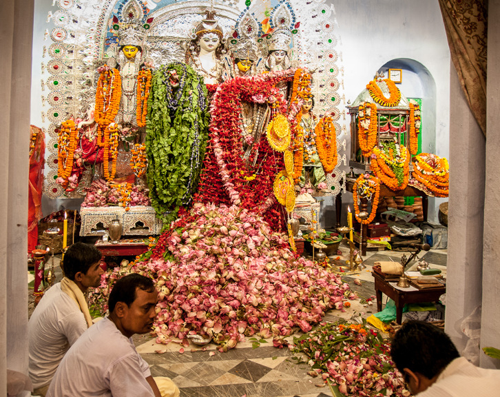 Therefore we have to offer fresh flowers to a Deity on a daily basis after removing the flowers offered on the previous day. Besides this there are other prohibitions applicable to flowers to be offered to a Deity. Flowers stolen from another’s house thus making them unhappy are not to be offered. At Brahma-muhurut the pavitraks of Deities are projected on a large scale on to the earth. These pavitraks get attracted on a greater scale towards the flowers.The sunlight causes the disintegration of raja-tama particles present in the atmosphere. Therefore the atmosphere before the sunset is more sattvik as compared to that after the sunset. However there are some exceptions to this rule. For example there are some flowers whose buds start opening at the sunset itself like those of Bela, Chameli and Rajanigandha etc. These buds eagerly wait for the Brahma-muhurt. It is as if they are eager to surrender themselves at the feet of the Deity. These flowers have more fragrance when compared to other flowers. That is why the Deity principles get attracted towards these flowers in large amount. 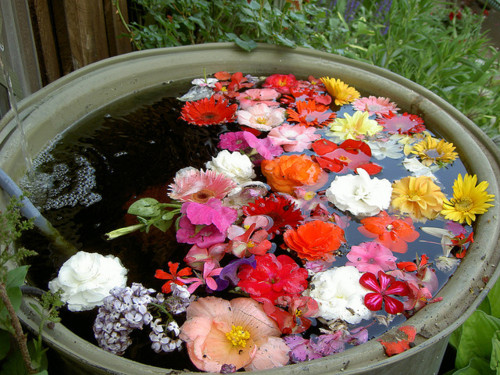 Do not pluck the flowers without taking bath. Do not pluck flowers for Pujaritual with your shoes on. While plucking flowers for Puja ritual pray to the Deity that the objective of offering the flowers for Puja is fulfilled. Pluck only that number of flowers as is necessary for the the Puja ritual. 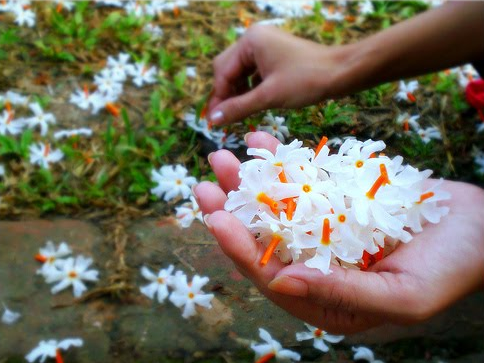 Do the chanting of your favorite Deity while plucking the flowers. Either 1 or 9 Jasmine flowers for Sri Durga Devi should be offered. 4 Jai flowers for Sri Ram should be offered. 5 Chameli flowers for Sri Hanuman should be offered. 3 Krishna Kamal flowers for Sri Krishna should be offered. Previous articleWhy is a specific flower offered to a God ?